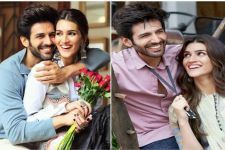 This Sweet Gesture by Kartik Aaryan's Fan Will Move Your Heart! The actor is enjoying a huge popularity. Kartik Aaryan is one actor in B-town, who has no time to rest. He's been flocking to various cities and countries for award shows, performances, and other work commitments. Recently the Sonu Ke Titu Ki Sweety actor was in Hua Hin, Thailand for a shoot. Kartik who is super active on social media shared some lovely pictures of the beautiful locales. And soon his fans started gushing about Kartik amidst the beautiful location. One such fan couldn't contain her excitement and sent him goodies all the way from London. The fan sent the actor a beautiful bouquet, a note expressing her love and gratitude for the star and some heartfelt gifts. Kartik was busy shooting when he was delivered these gifts and he was greatly surprised by the great efforts taken by this fan. Kartik, who is known to be super-humble to his fans was deeply touched by this act and soon shared on social media, thanking this fan from London and all his fans. 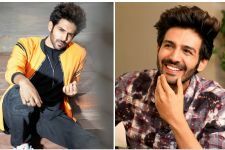 After the success of SKTKS, Kartik Aaryan has been very busy with all commercial commitments. 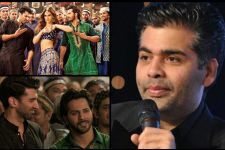 Because he will soon begin shooting for his next film which is Dinesh Vijan's next titled Luka Chuppi opposite Kriti Sanon. The fresh pairing of Kriti and Kartik has excited all his fans and everyone is waiting to see more of him on the big screen.